They're here! They're finally here! 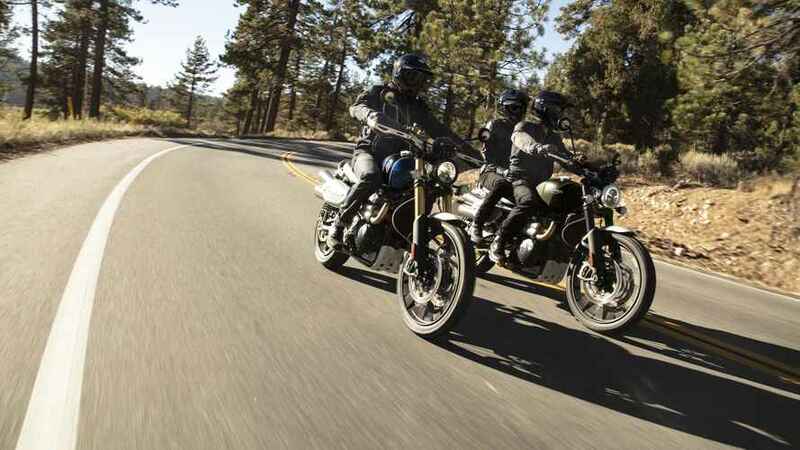 After all these months and all these teaser videos our patience and forbearance finally paid off as Triumph dropped not one, but two new Scrambler 1200s. If these pictures and these specs are anything to go by they are, in fact, the for real deal. 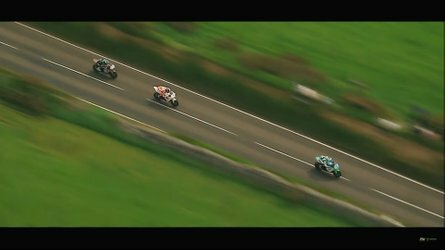 Introducing the Triumph Scrambler 1200 XC and XE. According to the Triumph press release, these new bikes are, "all-new benchmark-setting motorcycles that represent a first for dual-purpose capability and modern custom style. 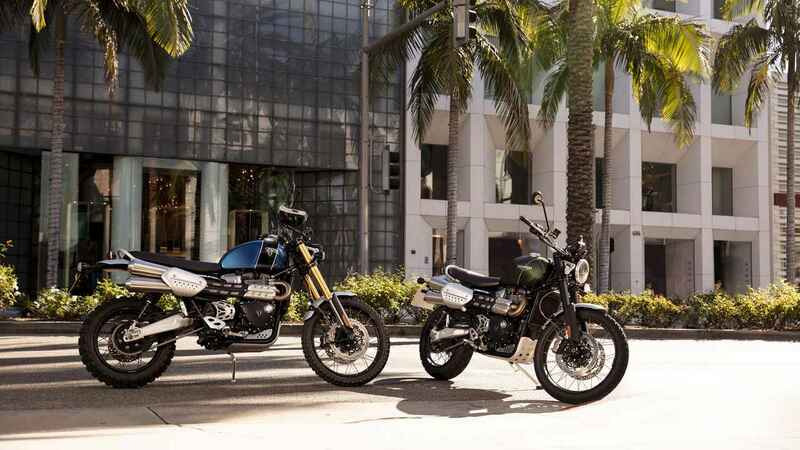 These beautiful new 1200 scramblers deliver a category-redefining level of performance, specification, and finish, fused with Triumph’s iconic Scrambler DNA and all the capability of a genuine adventure motorcycle." 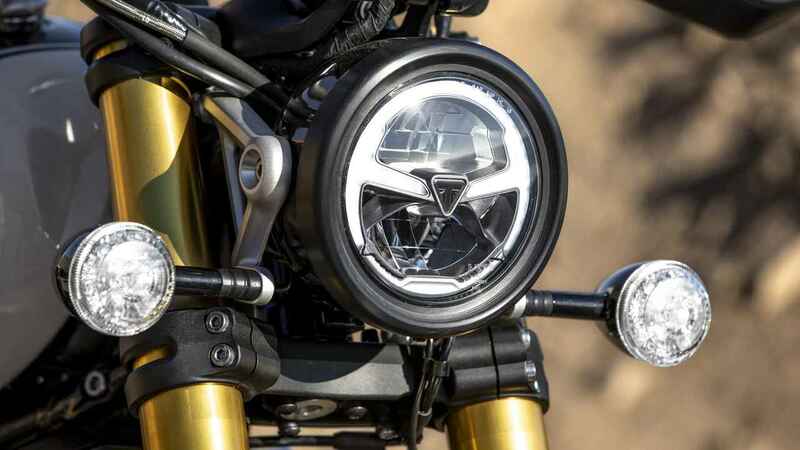 That's a fancy-pants way of saying that these all-new, big-bore scramblers are top of the line, no-foolin', big boy (and girl) bikes with serious off-road bona fides to go along with their street appeal. 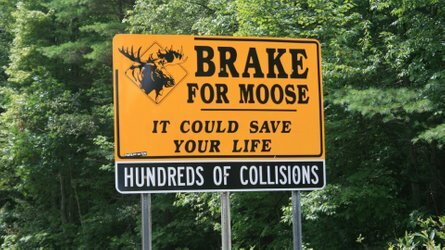 We're 1000-percent on board here. At the heart of the new Scrambler 1200 line is the stout Bonneville 1200 mill with a special "scrambler tune" that provides 12.5-percent more power and a truckload of stump-pulling torque for increased off-road performance. Both models are fitted with high-tech TFT instruments, LED lights, cruise control, keyless starting, USB power sockets, full Bluetooth integration, multiple riding modes, and all the bells and whistles we've come to expect in new bikes. They even have the world's first integrated GoPro control system for getting the most out of your cameras while on the road and the trail. The XE model features a raft of features above and beyond those mentioned above. 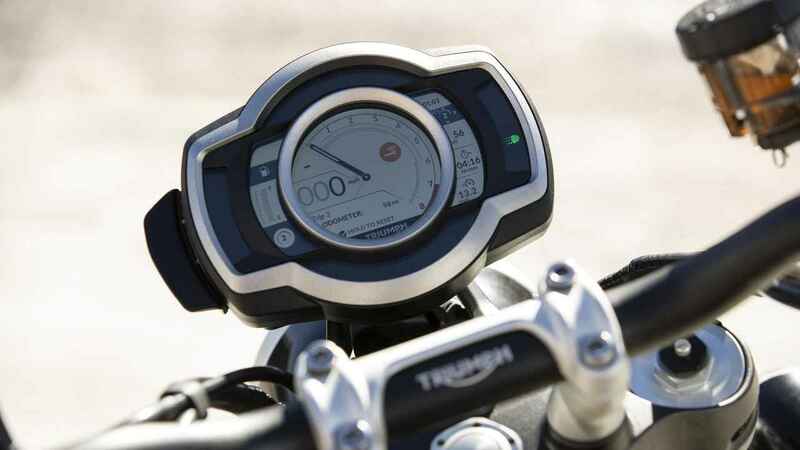 Optimized for off-road hooning, the comes standard with heated grips, optimized cornering ABS, optimized cornering traction control, an advanced Inertial Measurement Unit that drives all the fancy rider aids, and more. 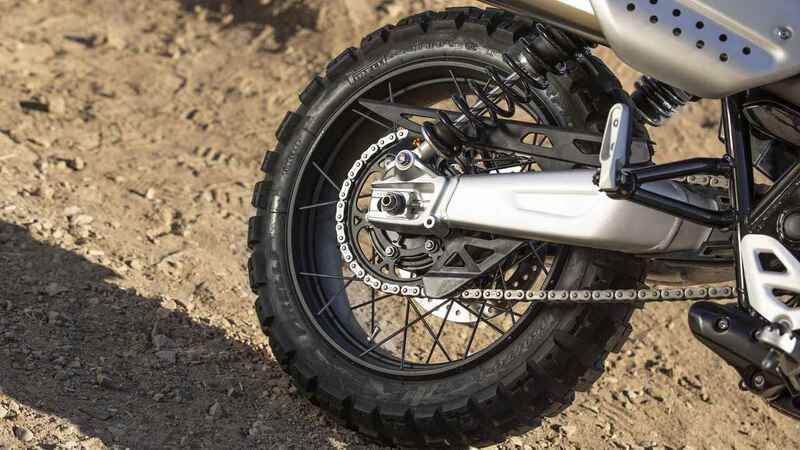 The Scrambler 1200 family's suspension is serious business as well. Both models are equipped with a new aluminum long-travel swingarm (longer on the XE) sprung with an all-new, fully-adjustable, twin-spring Öhlins rear shocks with external reservoirs. 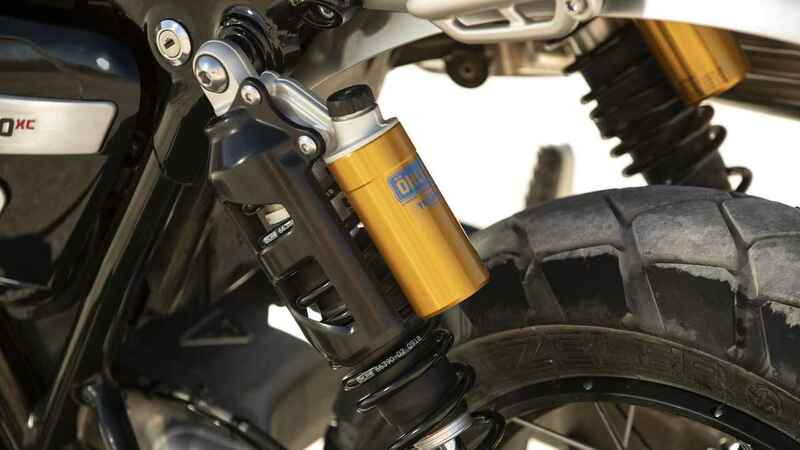 "The twin spring Öhlins RSU on the new Triumph Scrambler 1200 combines new technology with inspiration from 70's motocross to deliver high performance and long suspension travel capability," said Emil Åberg of Öhlins. 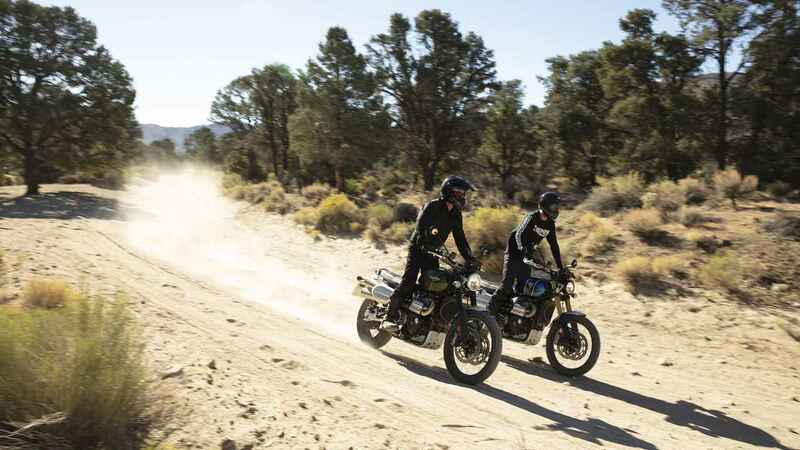 "Our testing team was amazed by the performance of the new 1200 Scramblers, and considered them to be actually more capable off-road than many of the adventure bikes they had tested." To go along with all that function, the new Scrambler 1200s have a whole lot of classic form. All new tanks with classic scrambler cutaways, laced wheels, brushed steel accents, and Monza-style fuel filler caps give these new bikes a stunning neo-classic feel. 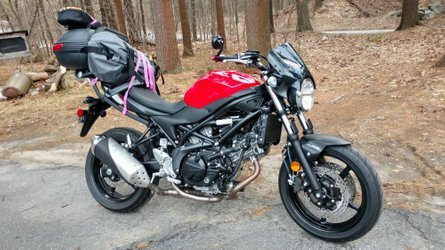 They were also released alongside a lengthy parts and accessory list—bags, fenders, engine guards, braces, tech add-ons, etc.—as well as two "Inspiration Kits" which allows buyers to customize their bikes for either street or dirt use with one handy package. If you'd like to know more (and why wouldn't you?) check out the press release below. every dimension. The real deal is here. set the template for what made a scrambler great. in the dirt, and that competed in the most challenging desert races of all time - the Baja 1000.
scrambler style and timeless silhouette. credentials to the very top of the motorcycling world. interval ensures a smooth, linear power delivery from the slick six-speed gearbox. greater that the Street Scrambler by 37.5%. 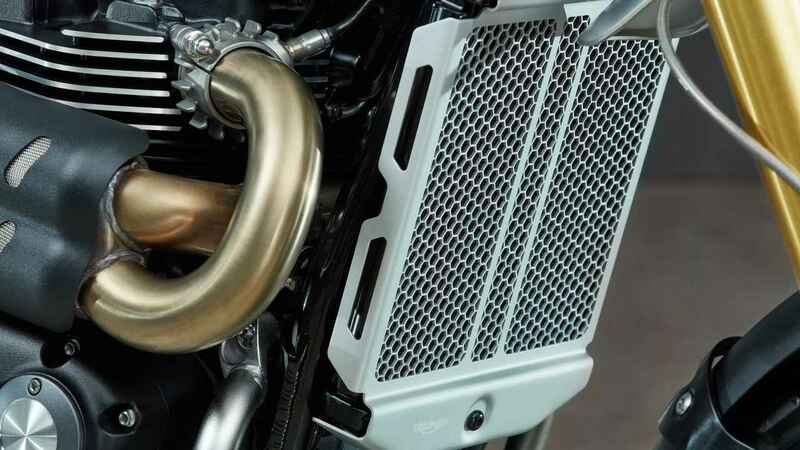 stainless steel headers and brushed stainless steel silencers for a deep punchy scrambler sound. enhanced performance and cleaner, more fuel efficient riding. to suit rider preference and riding conditions. and uses the ‘Off-Road’ throttle map. selected manually via the Rider-configurable riding mode. which are selected manually via the Rider-configurable riding mode. markets) which provides excellent visibility and a distinctive light profile. to the clutch and making it easier to ride, and for longer. wireless transmission function at the touch of a button for even greater security. with a button on the left hand grip providing greater rider comfort, with two modes. easily accessed while riding for maximum convenience and safety. equipment. This is integrated into a new foam lined storage box under the seat. accessory fitted connectivity Bluetooth module. instruments present turn symbols on the screen using simple graphic icons. 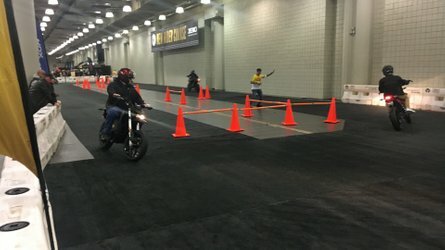 all controlled by the rider through this app. switchgear, allowing the rider to select music, control the volume and take calls. developed to deliver a first-in-class dual purpose ‘classic and adventure’ capability. purpose XC delivers 200mm. Both models are equipped with piggy-back reservoirs. the XE version, making the new XC and XE truly capable in all riding conditions. tubeless tyres and spoked 21’ inch front wheel. finish and detailing, setting a new template for what a 21st century Scrambler should look like. - 30 litre roll bag. as a complete set – the fully loaded Escape kit and the off-road, stripped back Extreme kit.